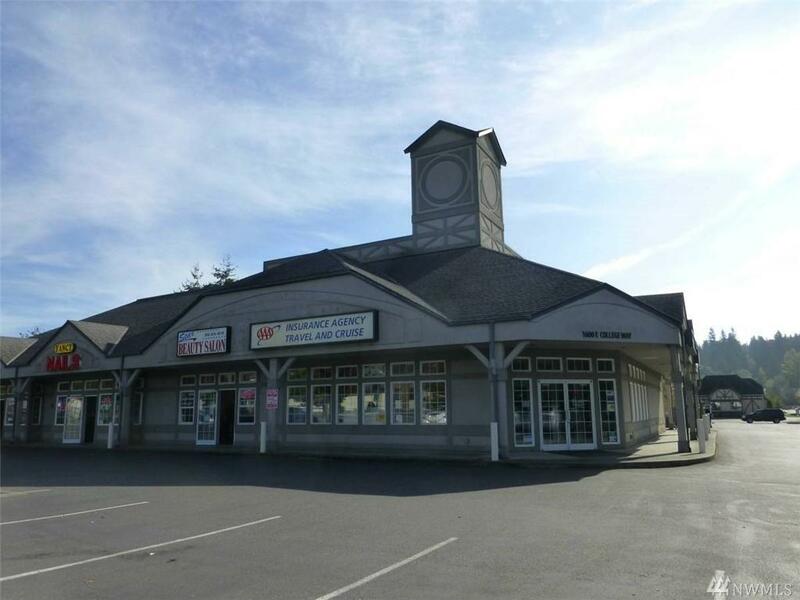 2300 Sqft of Street level Prime Retail Corner Space on College Way located in a busy multi tenant complex right on the corner of College Way & Parker Way. High visibility. Walking distance to the College, Terrific signage. This space is composed 2300 Street Level Prime Retail with counter, break room, private office & shared bathrooms. High Exposure,excellent signage opportunities at street & on building. Additional 950 sqft of 2nd floor space available as well. 5 year lease,monthly NNN $1420.